Hey guys, long time lurker here and avid Lancer enthusiast. I am looking to buy my first one in the coming months and my price range varies in between $10K to $25K max and I just ran into this gorgeous Ralliart that I've very curious about. For the record, I'm looking to purchase either a VR-X/GTS, Aspire or Ralliart. Being MY10, I read somewhere post-MY11's received an important fix towards the SST transmission, which I am aware is not cheap to fix if it fails, at all. And it having done approximately 80,000kms also screams a need for a good service and check regardless of how much they assure full service history. Am I being too paranoid or do you guys think this is an incredibly reasonable price? If so, what should I look out for if I was going to test drive this gorgeous thing? Re: Is this RA under priced? BTW I have seen an older RA going for about $12k in the last week so they are falling into a very affordable price range, as long as they are mechanically sound! That looks like a very fair price for an RA of that age and mileage without being ridiculously underpriced. RA's have never had good resale which actually makes them a performance bargain now on the used car market. As far as things to look out for, I'd check to see if it has had the SST fluid replaced. The manual says 105,000km but that's way too long and I reckon the 45,000km interval recommended for hard driving is much more appropriate. So check to see that the current owner has done it or budget for it (~$500 unless you buy the fluid and filter to do yourself) and get it done soon. If the SST is in sad shape, you should notice it during the test drive through jerky/hesitant shifts or clutch slip on inclines. That's a sign to walk away given the cost of replacing/fixing the transmission. Unfortunately, the SST in all RA's are susceptible to this, really comes down to time, mileage and how they were treated. Also, RA's of that vintage have had a few recalls issued on them for the ancillary equipment drive belt, ETACS ECU and turn light connector terminals (possibly more that I can't remember). 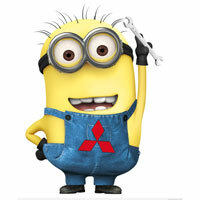 Easy enough to check with Mitsubishi whether they've been done if you have the VIN. Also remember the difference between dealer and private price will vary, but with the dealer you get a warranty at least for 3 months. I bought my 09 RA with 64K for $15,500 last year. Really appreciate your inputs guys, it's crazy how cheap they're getting in such a short amount of time. The market's not doing the car any justice at all. I was reading up on SST transmission replacements and install and apparently the prices range in between $9,000 - $12,000 which is literally 2/3 the price of this RA. Jesus, now I know why there is absolutely no point in doing so unless it's for your prized Evo. I get that jerking gear changes and struggling uphill are obvious enough, but are there any other signs to look out for in a faulty one? 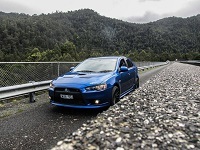 And I know the ETACS ECU refers to the Lancer's electronic control system so I'll have to read up exactly why that was recalled, among the other recalls. Thank you heaps for that info Nate. Still awaiting a response from the seller, hopefully I get something as soon as possible! 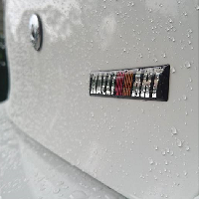 Like most cars... if you look after it and dont treat it like crap than the car and SST will last a lifetime.